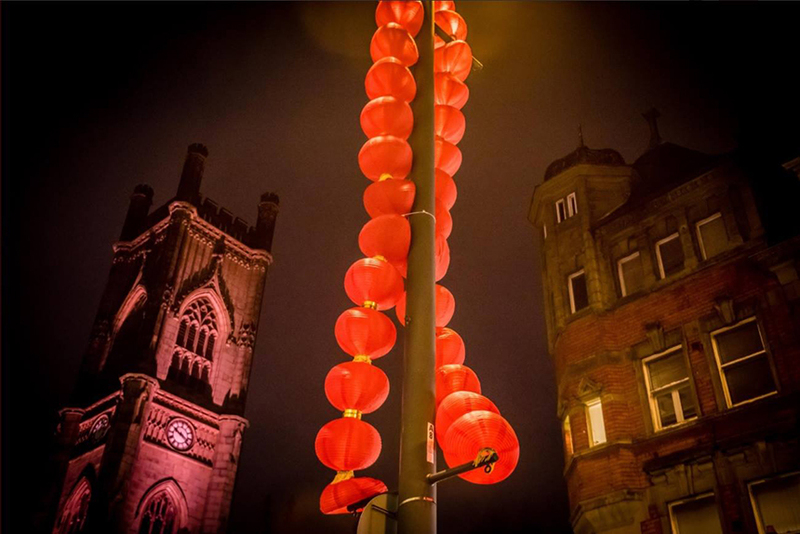 Chinese New Year in Liverpool 2018 is set to be bigger and better than ever! And you won’t want to miss out on all the action. This year, the city will celebrate the year of the Dog. 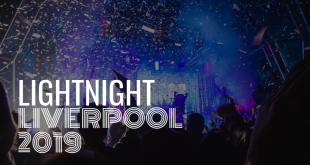 And Liverpool’s festivities will tie in with marking 10 years since Liverpool won European Capital of Culture in 2008. The celebrations also intertwine with China Dream season, a nine-month festival showcasing the best of Chinese art and culture. Earlier this month, excitement began to build for Chinese New Year as the city was illuminated by thousands of red lanterns. The eye-catching display has seen a multitude of areas across the city adorned by the dazzling decorations. 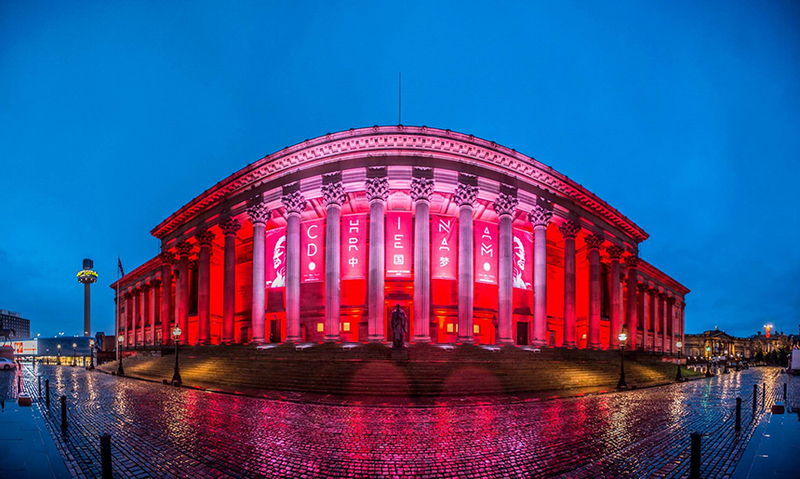 The start of February also saw iconic buildings across Liverpool turning red, honouring Chinese New Year and marking the opening of the Terracotta Warriors exhibition at the World Museum. The glowing buildings of Liverpool include The Town Hall, St George’s Hall and the Cunard Building. And it’s well worth taking a stroll to see for yourself. As for the weekend, Chinese New Year 2018 in Liverpool will be one to remember. There’s so much to do and see that we’ve narrowed it down to the timetable highlights. So whether you’ll be heading into China Town alone or with the whole family, take a browse at what’s on across the weekend. The main celebrations will commence from Friday 16th February and come to a close on Sunday 18th February 2018. 7:00 pm – Entertainment will commence on both nights with Hung Gar Kung Fu take to the streets with a dragon and Lion dance. Each night will also feature performances from Chinese and British students dressed head to toe in traditional Chinese dress, inspired by the Warring State and Hip Hop. 7:30 – 8:30 pm – Each of the nights will include an enchanting lumiere display. You can look forward to catching the iconic Chinese Arch, the Black-E and The Arch brightening up the city with an atmospheric glow. 11.45am – Dragon and Lion parade begins beginning at the Blackie. 12.15pm – Unicorn parade will begin outside the Chung Wah supermarket on Nelson Street. 1:05 – 1:45pm – Don’t miss the Firecracker Display at the Great George Square Stage. People are expected to gather for the Lucky Man, Dragon and Unicorn Parades. 5:00 – 5:30pm Terracotta Warriors Love – This dazzling performance is inspired by a mix of Chinese Opera, Martial arts and contemporary dance. (Pagoda Arts, Everyman and Playhouse and Liverpool Confucius Institute). 5:30 – 6pm Chinese Fusion Dance (Movema Dance & 24 Festival Drums, Liverpool Guild of Students). 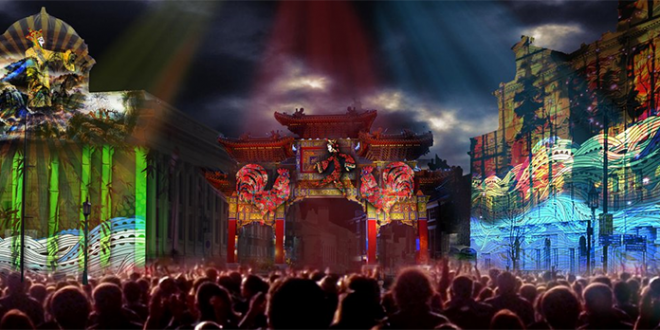 6.30pm – Chinese New Year lumiere – Jingwei’s Legacy at the Chinese Arch on Nelson Street. 6:40PM – The main fireworks will take place on Nelson Street by the Arch. This year’s Chinese New Year Lumiere follows from last year’s enchanting tale of Jingwei & the Ocean. Jingwei’s Legacy will take audiences on a journey with Jingwei to experience the arrival and development of Liverpool’s Chinese community and more across the country. The dazzling production will centre once again on the mythical Jingwei bird. But this time, audiences will see Jingwei rewarded by a god for dropping sticks and stones from her homeland into the ocean, helping to grow diverse communities and new lands. Jingwei is rewarded with a transformation by the god, back into the young girl she was before she became a bird. Returning back to her village and encouraging people to join her in new lands, she finds herself rejected and surrounded by sceptical villagers. The gods offer a helping hand by sending dozens of boys and girls to help join her adventure and win over the villagers who had dismissed her ideas. This moving story comes to a close with the villagers and new friends joining together and embracing their diverse cultures with song, dance and parades. The Year of the Dog is based on the Chinese Zodiac cycle. Those whose birthdays fall under the Dog sign tend to be particularly loyal and dedicated to their friends, family or work. Dogs are also thought to be trustworthy companions, and adhere to their morals and ethics. This Year of the Dog is thought to have plenty of happiness and luck in store. 2018 is the year of the ‘Earth Dog’ which hasn’t appeared since 1958. Earth Dogs by nature are thought to be serious, responsible and communicative. Liverpool’s vibrant Chinese community dates back to the 1800s. Many Chinese seamen came to the city to work for the Alfred Holt and Company, who had established the first commercial shipping line focusing on the China trade at the time. 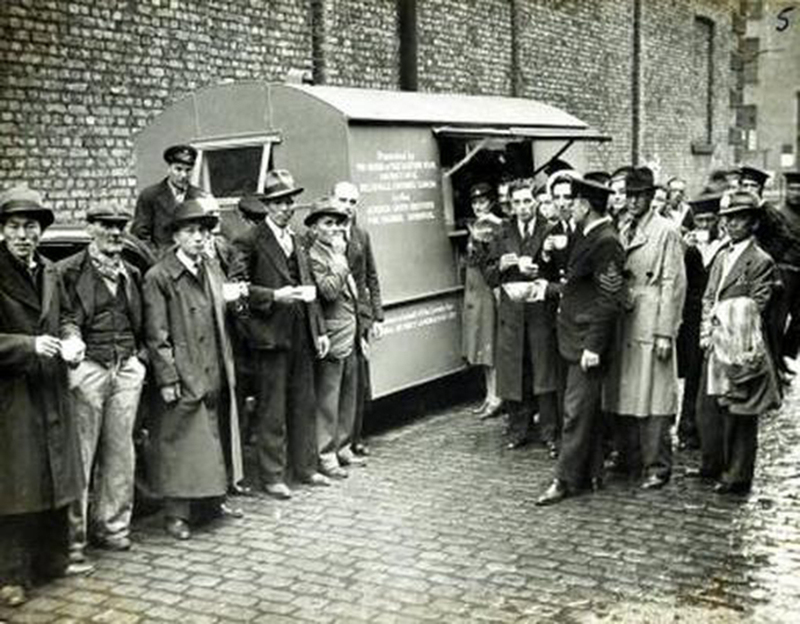 Since the company needed to accommodate their workers when on shore leave in Liverpool, they opened boarding houses near the city’s docks so that men could stay with those that spoke their language. Eventually, Chinese sailors began to settle down in areas of the city close to the docks around Pitt Street, Frederick Street and Cleveland Square. From the 1890s, a sense of community was growing. Chinese people were opening up their own shops and cafes and marriages between local women and Chinese men started to become more common. Liverpool Chinatown was the first in Europe, bringing Liverpool a colourful fusion of Chinese cuisine, grocery shops and supermarkets that still flourish today. There are around 10,000 Chinese residents living in the city, including the overseas Chinese students from China, Taiwan, Hong Kong and more parts of Southeast Asia. Sadly during World War II, the area formerly known as ‘Chinatown’ was destroyed by German bombers. This led to Chinese communities moving closer to Nelson Street, Great George Street, Upper Parliament Street, Duke Street and Berry Street, which explains the location of today’s ‘Chinatown’ further away from the docks. 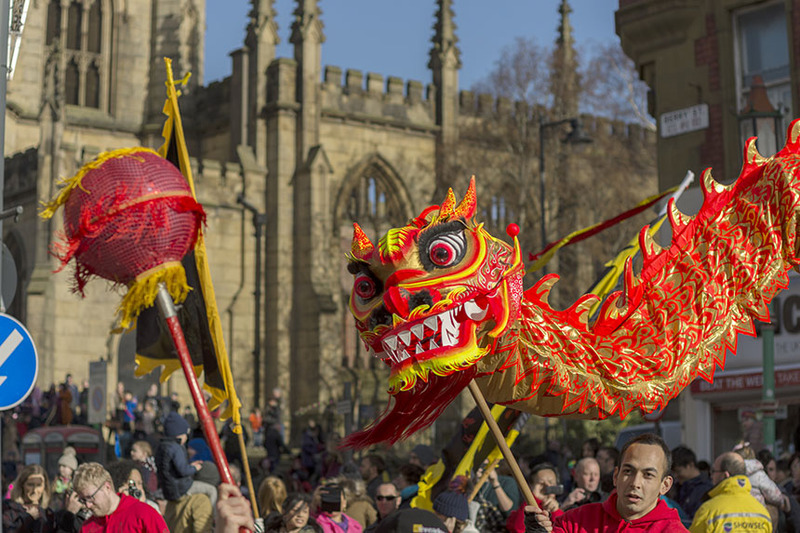 So, we hope you have enjoyed our guide to Chinese New Year 2018 in Liverpool. We hope you have a fantastic weekend enjoying the celebrations!